i am obsessed with this color palette!!! you know i am a monochromatic, matchymatchy, most of the time colorless. but pastels and sweets have got me a little bubbly… i am living for these. it's the ambiance, the moment. Feeling everything, sensing it all. 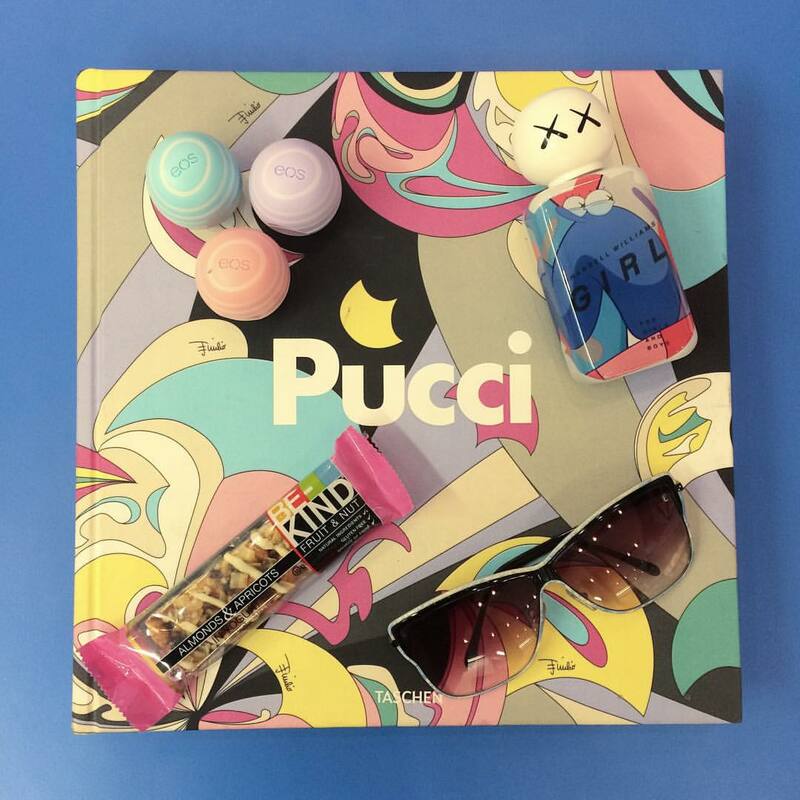 with the scent of this ambiguous fragrance of Girl by Pharrell for Comme des Garçons, the tartiness of the sweet and creamy Almonds and Apricots Kind Bar, pretty visuals on a high impact graphic print book by TASCHEN of Pucci and the softly hydrating lipbalms that have special packaging with the textured ridges.